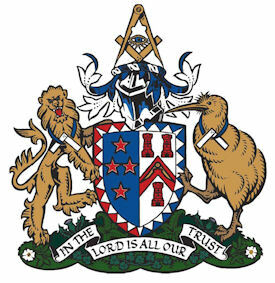 This is the Craft Masonry Knowledge Website for all Freemasons in New Zealand. Welcome. This website is maintained by VW Bro. 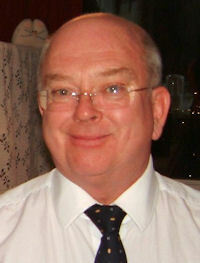 George Allan who firmly believes that Freemasonry is Universal, so, you can share anything good on this website with any other Mason in the world. I realise that "education" is not every Mason's cup-of-tea but there is a ground-swell that indicates that many Masons join with a thirst for knowledge and then walk away when they can't find that knowledge. So, this website aims to fill that gap on a regular basis with articles to inform you of masonic learning, masonic educational events that are happening or going to happen in all three Divisions and ideas to try for yourself and your Lodge. You are encouraged to use the information you find here as discussion points with other Masons in your Lodge, other Lodges in your Division and other Masons throughout the world. Your feedback is especially welcome - e-mail me by clicking here and tell we what you and your Masonic friends are doing. Click the dropdown above to visit the collection of Masonic Knowledge Pages we have put together for you. You may have heard that the National Education Committee has been disbanded as senior management of the Craft here in New Zealand have decided that the new Strategic Direction (2019 - 2023) does not need it. All masonic education will carry on through your Divisional GM and his Grand Lecturer. This means I am no longer required as Chairman and my appointment and duties have ceased. One of those duties was maintaining this website of Masonic Knowledge including the monthly quiz, which I hope has been of use to masons everywhere. So, what to do? Do we need to find a way of maintaining this website? Any suggestions and discussion would be gratefully received. I have been persuaded by several good masons to continue to maintain this website but feel this would contraveine the standing of the Grand Lecturer in each Division who, along with his Divisional GM, is responsible for masonic education. A solution would be for each Division Grand Master and his Grand Lecturer to maintain their own site. Untill this happens, I am in a quandary but unwilling to let all the work put in to masonic education over the past 7 years by myself and many, many others go to waste. So I will keep this website running for a while untill someone comes forward. The rest of the video-links are now on the Archive Page - well worth a look. There is a whole bundle of masonic stuff there. Nominations for Grand Lodge Officers are asked for so I have included the Job Descriptions (Terms of Reference) for Grand Lecturers. Also included are the job descriptions for Lodge Education Officers and District Education Advisors.These were derived after a lot of discussion throughout New Zealand, refined and presented to the BofGP for approval and authorization. Q. 1 What were the dimensions of King Solomon’s Temple, length, width and height? Q. 2 Our traditions tell us that our Order is older than the Garter. When was The Order of the Garter established and by whom? Q. 3 Likewise, who established the Order of the Golden Fleece, where and when? Q. 4 Name the four Lodges in London that met to form the first Grand Lodge in 1717? Q. 5 What was the original name of that Grand Lodge? Q. 6 What is the last line in the prayer when closing the Lodge in the third degree? Q. 7 Name the Officers needed to open a Lodge in the first degree. Q. 8 What does the word "fiat" mean? Q. 9 Was Solomon the eldest son of King David? If not what number son was he and why did he become King after his father? Q. 10 Who was the 1st Grand Master of the New Zealand Constitution? an English author of many historical factual books. Ridley died in 2004 so this book has been around some time. The book is fair and honest and coveres a lot of masonic ground from 1717 to modern day. It is different from the usual masonic history books in that it relates the facts from historical research about what actually happened in most countries where Freemasonry exists, from the UK to France, Germany, Spain, Portugal, Poland, across to the USA and even to Japan. Ridley tells it as it was, no frills and some of the detail will put your hair on end. He is bold in his reporting of the difficulties Freemasonry experienced during the 19th and early 20th centuries and this explained a lot to me. This is quite a long book (340 pages) fully of interesting and disturbing truths. It is not a PC book but pulls no punches in puting the facts from both sides. It is a book that every mason should get and read. I first had a library copy from Porirua Library but have bought my own copy because I will want to read and re-read over and over.I seriously recommend it. Masonic Lodges need this curriculum so that every Mason learns the same basic topics in Masonry and becomes confident about Masonic signs, words and the meanings of our ceremonies. This document was prepared as a direct result of feedback from Masons attending the three Divisional Conferences in 2014. It sets out the topics needed to strengthen Masons’ knowledge in our 3 degrees. The recommended method of Masonic Education is by Mentoring explained as follows. A Mentor is a Masonic Friend, preferably about the same age as the Candidate and from a similar background. A Mentor does not have to be a Past Master who knows all the answers but should be a keen Mason who will allow a newer Mason to have a voice and discuss topics on his journey of discovery. See the final section on Selecting a Mentor.Mentor training sessions will be available in Districts to show how to lead Masons through the curriculum topics. The Curriculum is subdivided into three areas: 1 Lodge Culture & Etiquette; 2 Activities Outside the Lodge; 3 Ceremonial. There is a final Section on Selecting a Mentor. The next sections recommend topics to be covered in each of these areas. This section suggests topics in three areas: in Lodge; at refectory; within other districts. Explain and discuss the etiquette, traditions and customs in your Lodge. Discuss the history, culture and roots of your Lodge and that Lodge customs differ from Lodge to Lodge. Give an explanation of your Lodge structure and organisation. Explain how to address Brethren in various Masonic ranks. Guide a new Mason when he is ready to volunteer for Charges. Discuss how to become a Mentor in Lodge. Explain the protocols in refectory for toasts, fires and speeches. Get to know your Lodge members and what they do/did professionally and socially. Guide a new Mason when he is ready to volunteer for other activities in the Lodge e.g. social committee. Discuss the etiquette when visiting other Lodges. Explain that visiting into other Districts and overseas is permitted. Explain the history of New Zealand Grand Lodge. This is divided into two parts: Personal Development; Sharing Masonry with non-Masons contributing to a better society. Making a Personal Development Plan. How to learn and deliver Masonic Charges. Explain and discuss the 7 Pillars of New Zealand Freemasonry. Discovering the essence of Freemasonry and try to explain it. How to facilitate Self-Organized Discussion Groups (SODGs). Skills training for using the GL Website. Outline the broader picture of the six degrees in New Zealand Freemasonry. What can I tell my family about Masonry? How much Masonry can I share with my friends and neighbours? Assist the Mason to construct his own explanation of Freemasonry. Explain where each Lodge Officer stands and his duty. Discuss the ritual of the Master addressing his Wardens asking questions. Emphasise that this is done in every Masonic Lodge throughout the world. Discuss the questions asked of a Candidate when he enters the Lodge and immediately after the 1st degree prayer. Explain the 1st perambulation and discuss the reasons for the Master’s questions before advancing to the East. Encourage Masons to ask questions about meanings. Encourage the use of note books to write questions and explanations. the point of the compasses is pointed at the naked left breast. Demonstrate how to do the 1st degree sign and emphasise that it must start with the 1st regular step in Freemasonry. Inform Candidates that the token needs a word never to be given to anyone at length. Demonstrate giving and receiving the letters and syllables of the 1st degree word. Explain meaning of the apron and the charge after investiture both symbolically and in modern society. Explain the symbolism, especially the place of ‘charity’ compared to ‘relief’. Explain each part of the preparation in the 1st degree in understandable language. Explain the symbolism and possible every-day meanings in our private and working lives. This beautiful charge is considered by many to be the most important in the ritual. Explain each in Masonic terms plus their relevance in modern day living. Include morality, integrity and ethics. The first degree tracing board is the longest charge in our ritual and deserves several sessions on explaining its intricacies. It is important that a Candidate receives this explanation and the opportunity for discussion before preparing for the 2nd degree. Explain questions and discuss answers – an understanding is more important than a recital.The Mentor must ensure that the Candidate has done his homework and knows his answers. Explain that whilst progressive, this is a discrete degree. Discuss the concept of ‘Passing’ - through what, and why - and the term Fellow Craft. Discuss why a Candidate is admitted on the 90° angle of a square. Discuss the symbolism in the Opening and Closing ceremonies. Demonstrate and explain the pass grip and pass word. Get the Mason to practice and show you. the pass word and the word of the degree. Draw attention to when to use one and when to use the other. Annual Appointment generally for 3 years. Responsible to: his Divisional Grand Master for the organisation and management of Masonic education in his Division at a District and Lodge level. Reports to: the National Education Committee (NEC) on Masonic educational practices and achievements in his Division. The Grand Lecturer is to provide the encouragement and motivation of District and Lodge educational personnel in his Division. The Grand Lecturer is required to have at least five years’ experience in education or masonic education. Organise, coordinate and manage Masonic educational programmes throughout his Division and report on these to his Divisional GM. Provide support and guidance on Masonic education to his District GMs and their appointed District Education Officers. Coordinate all District educational programmes, and where necessary provide support and guidance to District Education Officers to ensure that Masonic education is available to every Lodge in his Division. to ensure that national policies and strategic decisions on educational matters as approved by the Board of General Purposes are brought to the attention of his Division GM. Inspire, motivate and encourage District and Lodge Education Officers to organise seminars and workshops on Masonic education. To advise his Divisional GM on educational events and programmes to be included in the Divisional plan. We have been looking for some time (years not months) for a better term than that of MENTOR. We are looking for a term that describes a Councillor who helps a fellow mason form his values by sharing their experiences (note the sharing of the learners experiences - this is very important). Someone who shares masonic knowledge by explaining what it means; someone who is an exemplar in life; someone who is an inspiration. Can any of you help with a good idea?